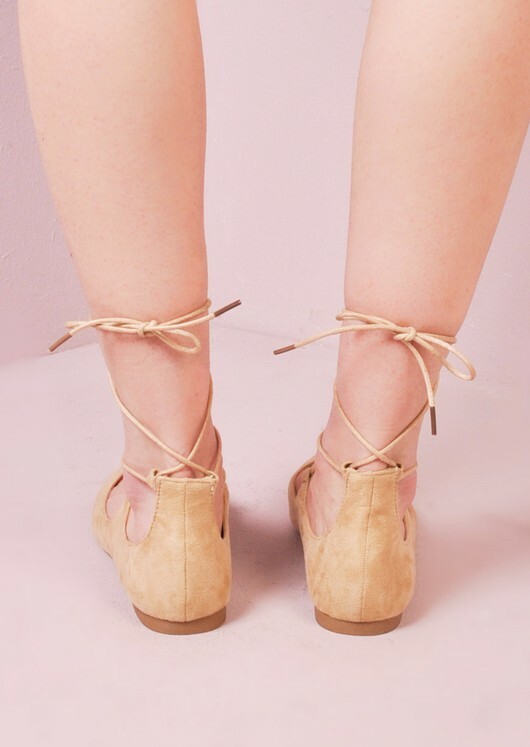 These cute beige pointed tie suede shoes are a must have this season, they will become your new go to flats. Shoes feature a lace tie up front, flat sole and lush suede material. Style these beauts with skinny jeans and a plain tee for the ultimate grab n go outfit. Trust us, you will want them in every colour.